This project was a chance to create a tile using the CnC milling machine. Jess gave each pair in the class a set of two connecting tile shapes. Each pair had to then transplant an algorithm based pattern onto the times, which would then be ‘drilled’ out of a block of material…a ‘reductive or subtractive’ method of from creation. Jess Wood and i were together in this project. We encountered a few problems along the way, but were really happy with the final results. From the choices in class to create the patterns on the tiles, we choose the ’tiling’ technique. 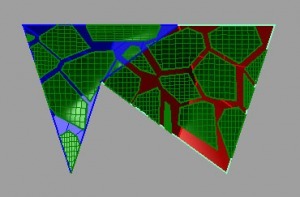 We employed a method called point set reconstruction. What was so interesting about this plug in was how the forms are created. 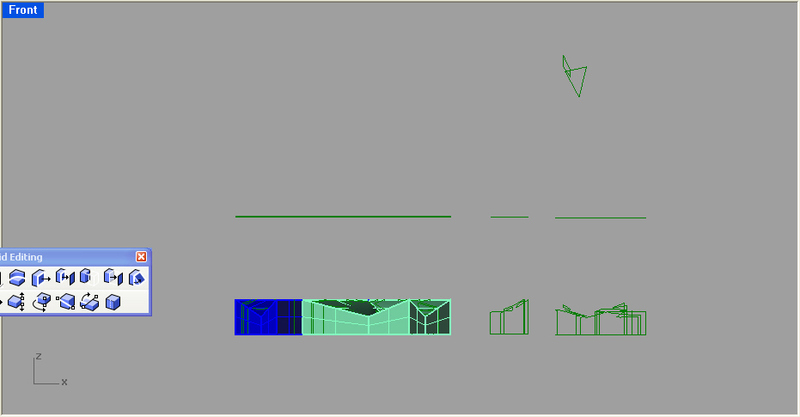 You start off by creating a seires of randoom points in space, the plugin then connects all these points with lines. Those lines seperate the shape into a series of ‘pieces’. 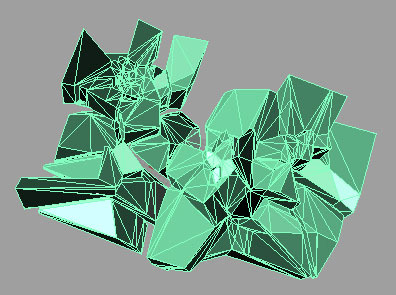 The forms often look like rocks or crystals. You can also offset all the points you made randomly, in all different directions, to make the shape really interesting. 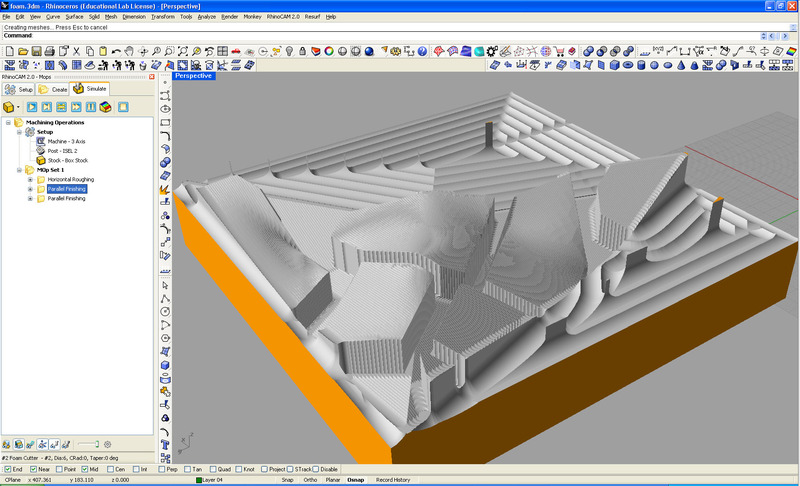 an example of the tile in Rhino. The dark green shape above the tile is a 'mirror' of the tile surface. We placed a line drawing of the pattern we decided on, onto this and then placed that back into the tile block. 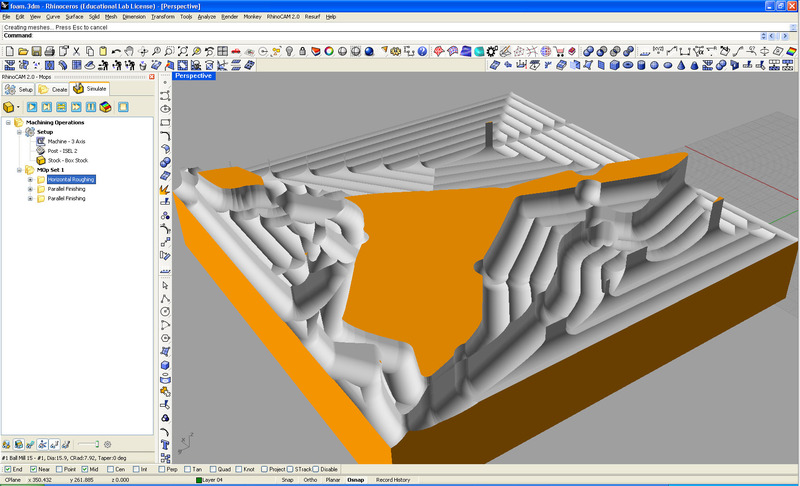 this is an example of the 3D form created. By this stage we had removed much of the original block. 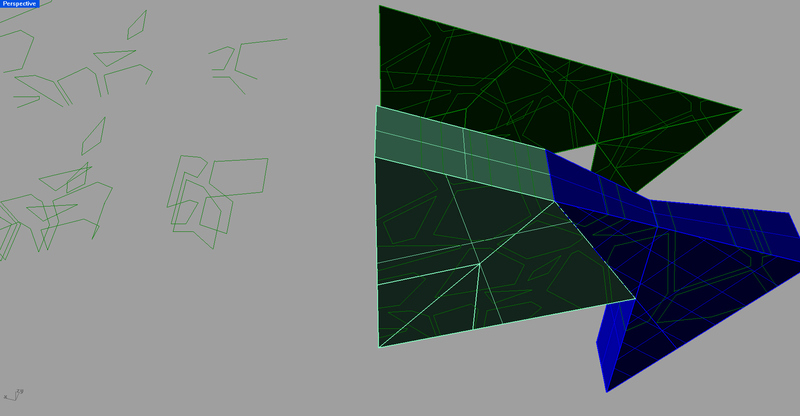 From here we took a snapshot of a particular plane within the shape to apply to the penrose tile. Once Jess and I had a shape or pattern we liked. We had to transport it onto the tile file. Here is an example of the elements with Rhino. In the bottom left you can see the actual tile file. Above that is a 2D surface repesentation of that. And next to those are the rock formation we created and a sectional plane pattern which was moved onto the tile. this is a good example of the flat pattern to be applied. the patten on top of the tile to be drilled. We had a few problems at this point. Many of the valleys between the shapes were to thin and the CnC mill could not get in between them, they had to be at least 3mm wide. 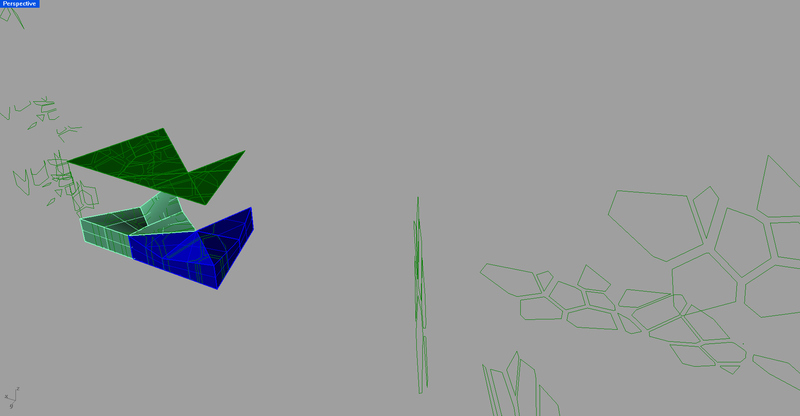 This was fixable as we offset the shapes inwards to make them all smaller. Secondly, our shapes were to tall. Meaning the physical shape of the drill could not reach down without damaging the material. We set about cutting the bottom off of the shapes and then lifting it all to the surface of the material.